What is the Coulomb’s Law? 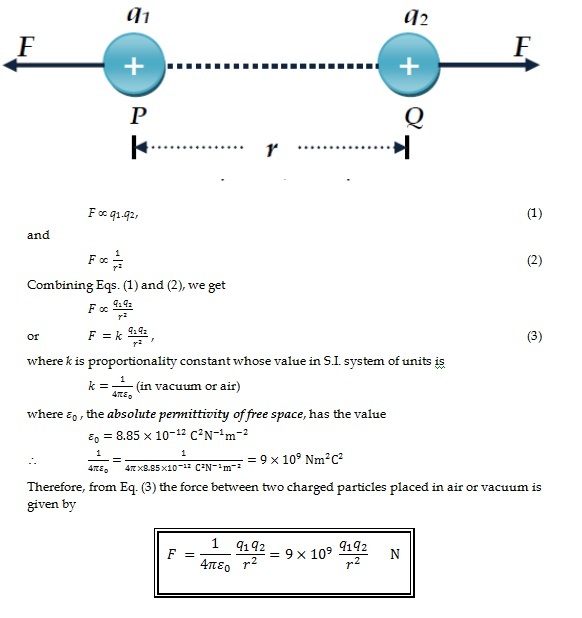 According to the Coulomb`s law, “the electrical force between two charged particles is directly proportional to the product of the magnitudes of charge on the particles and inversely proportional to the square of the distance between them”. The force between two like charges is repulsive while the force between two unlike charges is attractive in nature.